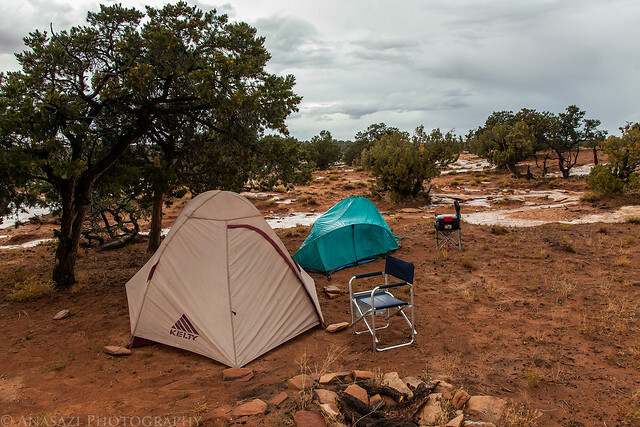 When the rain finally stopped for a short time I got out of my tent and snapped this photo. There was a small wash next to our tents that was flowing pretty good. We were high enough that it didn’t affect us. 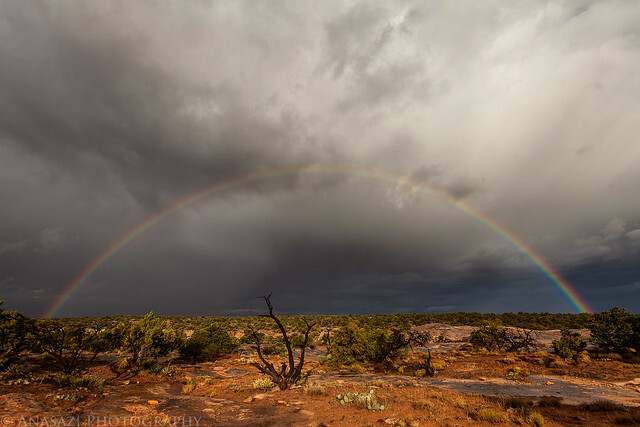 Shortly after we got out of our tents, this rainbow appeared across the desert. Our original plan for the day was to hike the Slickhorn Canyon #1 and #2 loop, but I wasn’t up for hiking the loop in the pouring rain and neither was Jared. 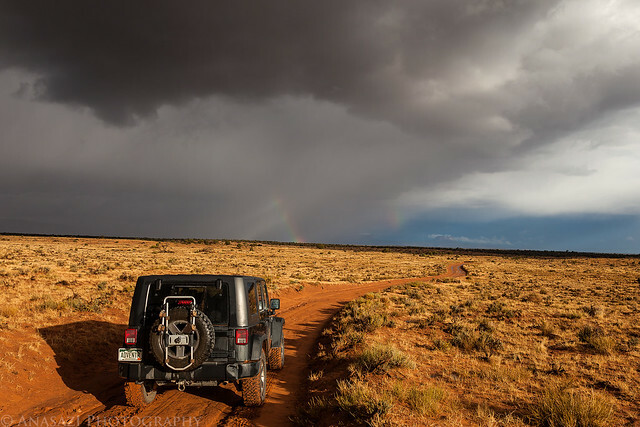 We could see more storms approaching, so we decided to drive over to the top of the Moki Dugway so I could get some cell signal and check the weather forecast. While driving back to the highway we spotted a small double rainbow in the distance. The weather forecast was calling for more rain in the area for the remainder of the morning and then the storms would start to clear out. 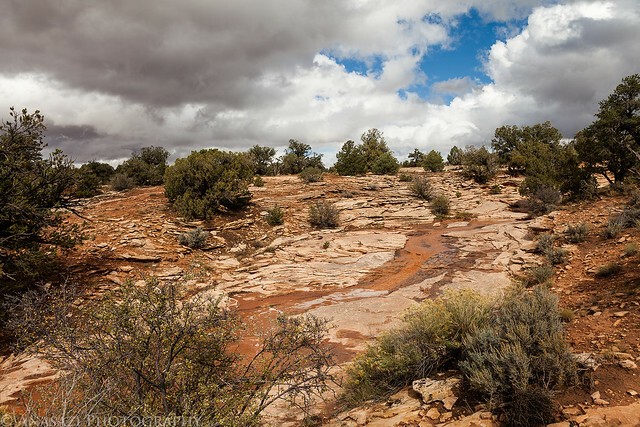 While we were at the edge of Cedar Mesa, the weather conditions were great for a few photos. 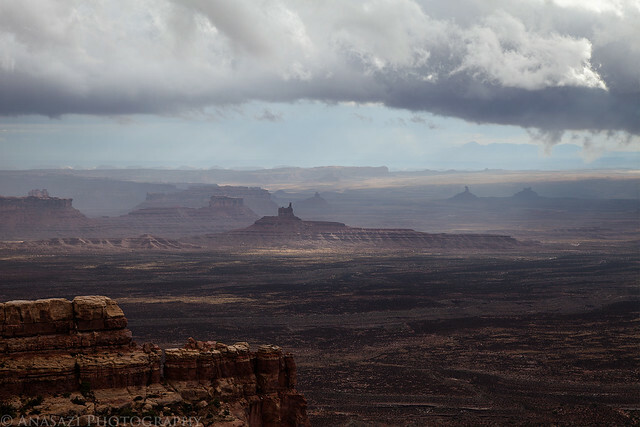 Storm clouds over the Valley of the Gods. 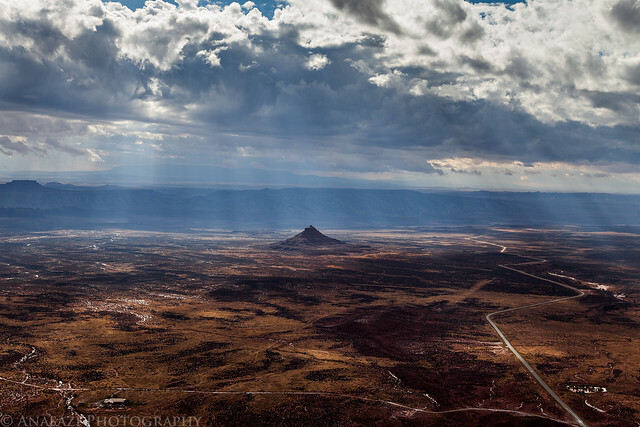 Spotlight on the edge of Cedar Mesa. Sun rays filtering down through the clouds. You can see there’s plenty of water in the usually dry washes, too. Instead of starting our planned hike into Slickhorn Canyon, we drove down the Moki Dugway to Mexican Hat for breakfast to wait out the storms. 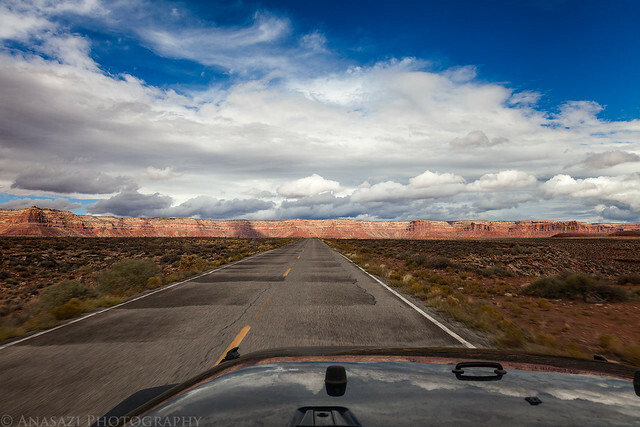 Driving back towards Cedar Mesa after breakfast. The storms were finally starting to clear up a little. 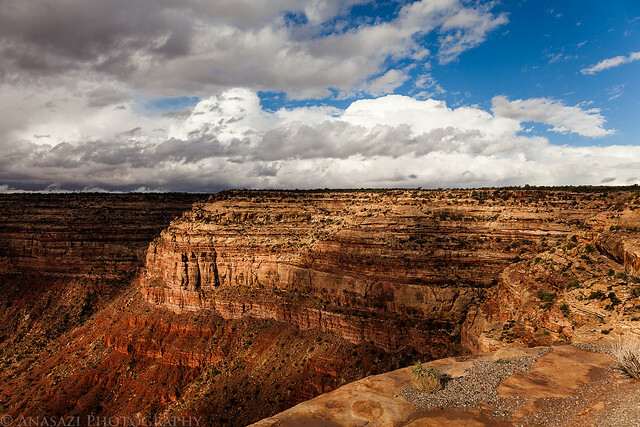 Once back up on Cedar Mesa, we made our way over to the Slickhorn #1 trailhead and began our descent into the canyon. 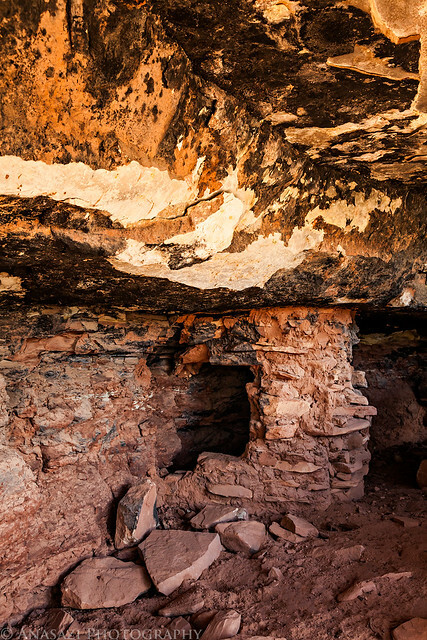 Since we were starting our hike much later because of the weather, we changed our plans from doing the full loop to only hiking down to the Perfect Kiva and back. 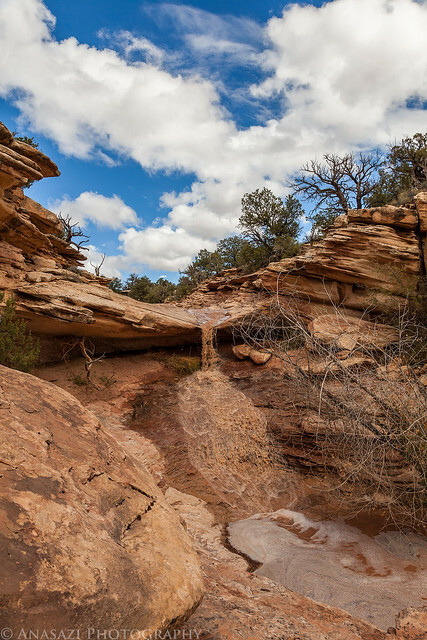 There was water flowing through the wash that we followed into Slickhorn Canyon. There were plenty of small waterfalls along the way. 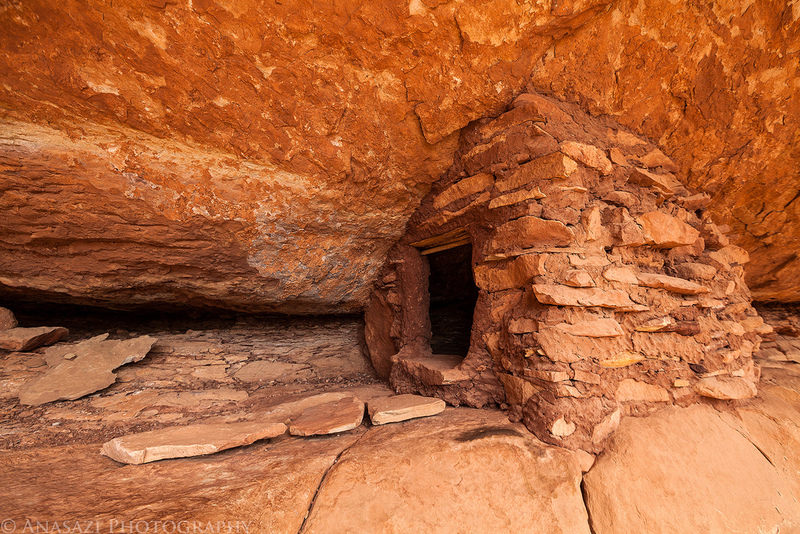 We found a few ruins as we hiked down the canyon. 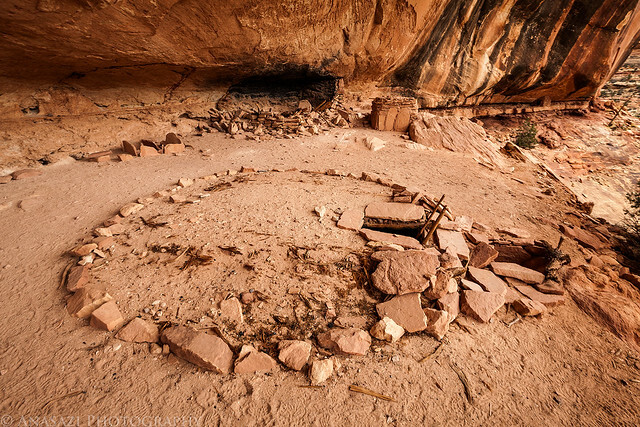 Eventually we made it to the very large alcove that contains the Slickhorn Perfect Kiva. There were a few other ruins located in this alcove, too. 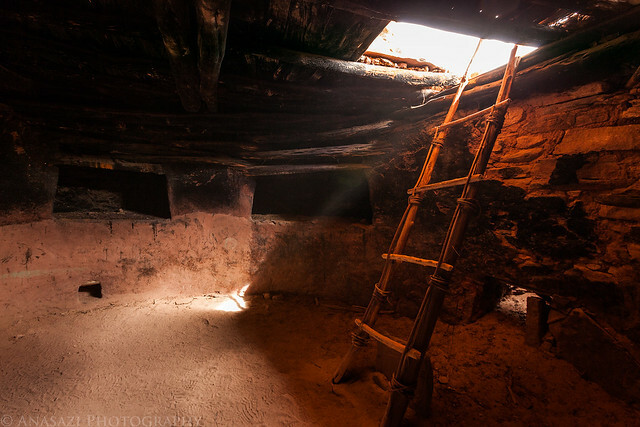 I climbed down the ladder into the kiva to check it out, and tried to take some handheld photos in the very low light. A small square ruin nearby. 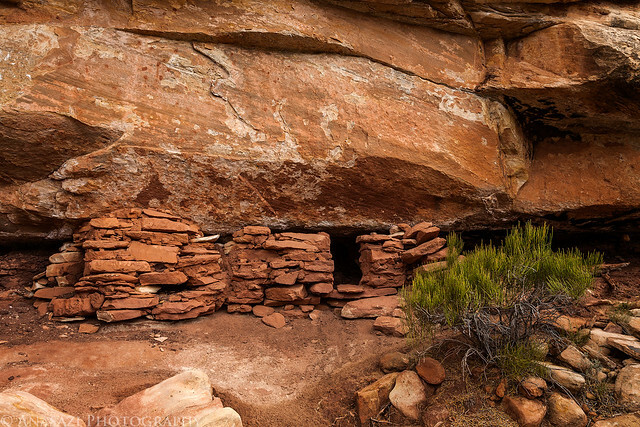 After exploring the kiva and the alcove we turned around and hiked back out of the canyon, and then drove back to our campsite for the evening. Since it hadn’t really really rained much since the morning, things had started to dry out. The sky was still cloudy as we were getting close to sunset, so I didn’t think we would have a light show. As I was getting ready to start making my dinner, the sun broke free of the clouds for a few minutes and the light was spectacular! 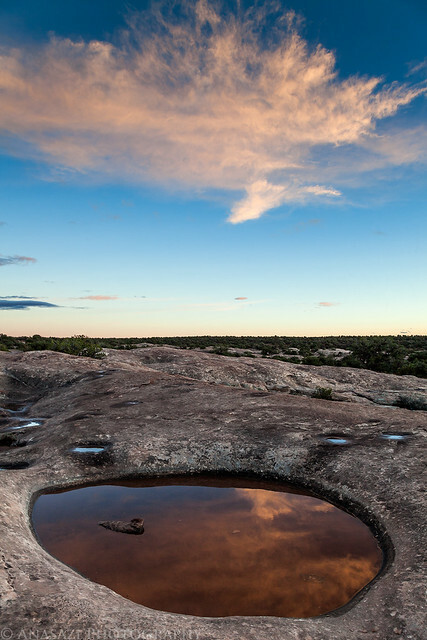 I quickly grabbed my camera and ran over to a large expanse of slickrock to try and find some potholes full of water. 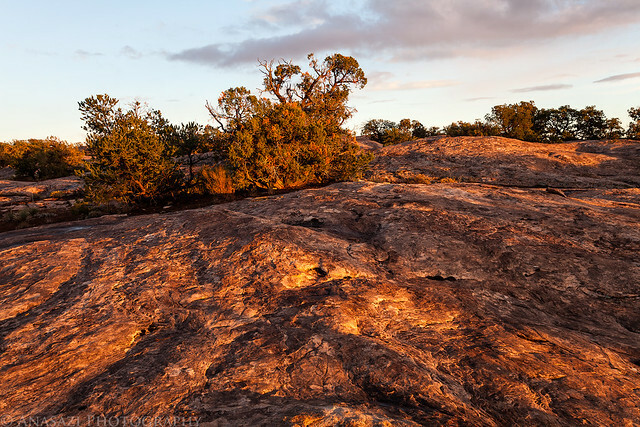 I took this shot of the nice warm light on the sandstone as I started looking for something interesting to put in the foreground. 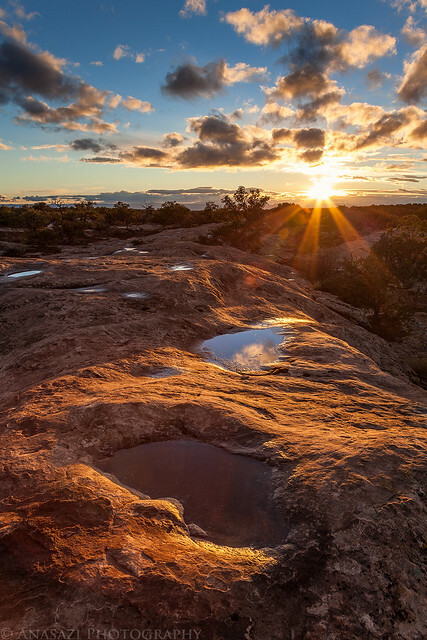 A few potholes and a sunburst before the sun disappeared behind some clouds again. I only had my 24-105mm lens with me, so this is the best sunburst I was able to get. Finally! A pothole full of water with a colorful cloud above. 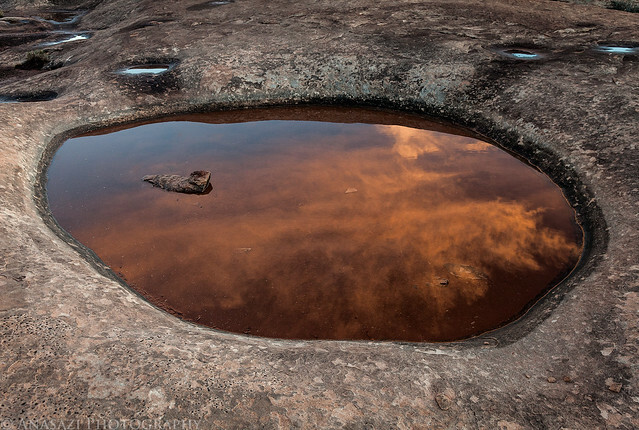 The cloud above helped make this reflection a little more colorful, but the sediment at the bottom of the pothole was a nice red-brown color. When there was no more light, I walked back to camp and finally had my dinner. It was looking like the sky was clearing up, so we were hoping there would be no more rain overnight to get everything wet again.